This week, MIT Media Lab researchers and minds from around the world got together to discuss artificial implantable memories, computers that understand emotion… and Microsoft-funded robotic teddy bears. Will the next Guitar Hero soon be discovered? Wandering the halls of the MIT Media Lab is the closest imaginable thing to a sneak peek of the future. 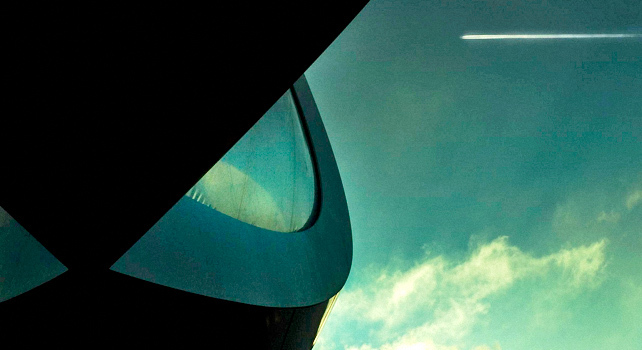 The Media Lab, a think tank/experimental facility devoted to new technologies that will change everyday life, held their 2012 Spring Event this week. At various talks on Tuesday and Wednesday, staff members and guests from the worlds of tech (Reid Hoffman), science (J. Craig Venter), and culture (Peter Gabriel) showed off prototypes of the ubiquitous tech of the future. Some of it will touch your lives sooner than later. In that near future robots and machines can mimic the behavior of living creatures. Researchers at the Media Lab’s Mediated Matter workshop have created a robot that creates, with minimal human intervention, massive cocoons and spiderweb-like sculptures. Although the robot resembles a giant mechanical arm, the cocoons it creates have an unearthly quality, and the underlying technology can easily be adapted to architecture. Rosalind Picard, who works with the Lab’s Affective Computing research group, also showed off the latest developments in computers and robots that understand human emotions. New developments in sensors, algorithms, and programming have led to machines that can “read” emotions. Picard’s team is developing everything from a toolkit to help computers detect the hidden meaning of smiles to a wristband anxiety detector to a musical instrument you can play with via facial expressions. Then there are the scientists who will be able to plant artificial memories in your head. Ted Berger of the University of Southern California is developing prosthetic brain implants that mimic the mind. Apart from turning recipients into cyborgs, the brain prostheses actually create fake memories, science fiction movie style: In experiments, researchers successfully turned long-term memories on and off in lab rats. Berger hopes in the future, once primate testing is complete, to create brain implants for Alzheimer’s and stroke patients to help restore function. Other researchers are building robots that can be your best friend. The Media Lab’s Personal Robot Group is doing their best to skirt the Uncanny Valley with cute humanoid/animal robots designed to provide services and companionship. Two prototypes on display gave an idea of what we can expect from future robots. The Huggable (name already trademarked), is a robot teddy bear companion for pediatric hospital patients. While the Huggable tells children stories, plays with them, and snuggles with them, over 1,500 sensors hidden below the robot’s fur monitor behavior and shoot video–which can then be viewed via a web app. Microsoft has been a generous financial donor for research into the Huggable; the robot can also be fully controlled over the Internet and used as a proxy by parents who are away from home to interact with their kids. Another prototype, Aida (Affective Intelligent Driving Agent), is a dashboard-mounted robot for cars and trucks. (We’ve previously written about Aida.) Partially designed to give truckers companionship on long-haul trips, Aida chats with drivers and provides road information. The robot’s video camera detects human emotions, has full facial recognition, and a fully interactive touch screen. It also looks quite a bit like Short Circuit‘s Johnny 5. Other technologies will have big ramifications for everyday life. The Media Lab’s Fluid Interfaces group has created a prototype desk lamp that turns surfaces into a tablet computer. The Intel-powered lamp turns any surface it shines on into an interactive interface with iPad-style swipe-hand-motion functionality. While the project’s first destination is the retail world (Best Buy is underwriting much of the research), it’s easy to imagine a jump from enhanced retail displays to assistive technology for older and disabled computer users. Another tech being developed by Fluid Interfaces, Swyp, is a cross-platform file sharing product that allows users to move files from one device to another with the swipe of a finger–no USB cords, miniSD cards, emails, or online services required. Then there are the developments that, while not world-changing, are just plain old awesome. 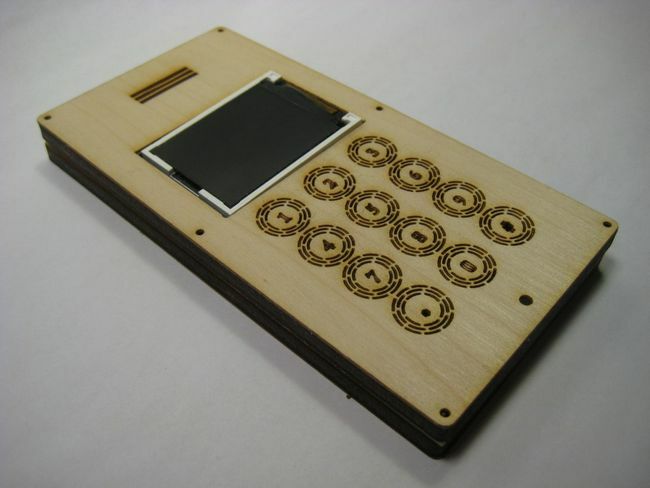 Researchers at the High-Low Tech group are working on codeable furniture that allows programmers to design laser-cut lamps via programming language, and a DIY cellphone that lets home hobbyists build a functioning mobile phone with an out-of-box construction kit. Hobbyists can also play with electronic textile kits or a closed network that can be DDoSed at will. Over 700 guests attended the MIT Media Lab’s 2012 Spring event; many of them represented academic institutions and the corporations which have been underwriting experimental work at the Lab. Previous projects at MIT Media Lab successfully predicted smartphones, Instagram, and social media. Startups which were launched out of the Media Lab include Harmonix (Rock Band, Guitar Hero) and the E Ink Corporation, which played a key part in the development of the Amazon Kindle.